Built Robotics used GPS technology to get the equipment to move and level the site. While the company has performed tests before, this is the first time that the technology has been used on a real construction site, KTVQ reported. A construction site in Billings, Mont., saw some robotic action April 25 as companies tested driverless equipment. 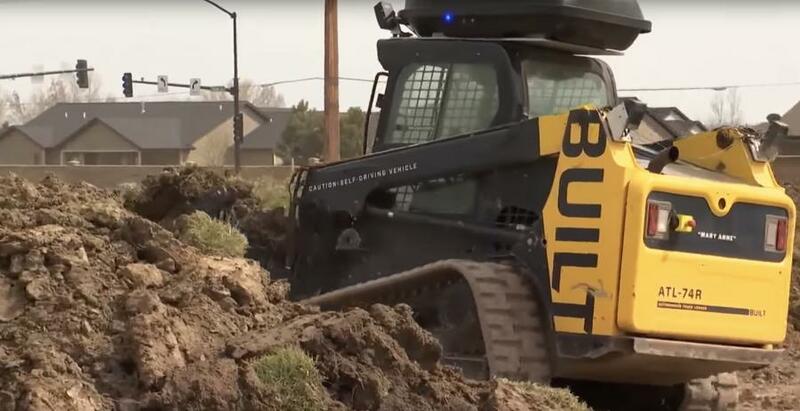 San Francisco-based Built Robotics and CMG Construction partnered together to test and demonstrate a driverless skid steer on the site of The Den Bar and Casino, KTVQ reported. Built Robotics used GPS technology to get the equipment to move and level the site. While the company has performed tests before, this is the first time that the technology has been used on a real construction site, KTVQ reported. The idea began when Built Robotics was inspired create an industry solution that would help bridge the worker shortage gap and boost safety, KTVQ reported. Built Robotics and CMG Construction said the robotic equipment is significant in a similar way to the Wright Brothers' first flight more than a century ago. Built Robotics said the project is currently still in the research and development stage — much like how the Wright Brothers were after their 12-second Kitty Hawk flight in 1903, KTVQ reported. According to Walker, the autonomous skid steer runs slower that one with a driver, but he believes it will work faster in time. Built Robotics has future plans to apply the technology to a larger dozer.